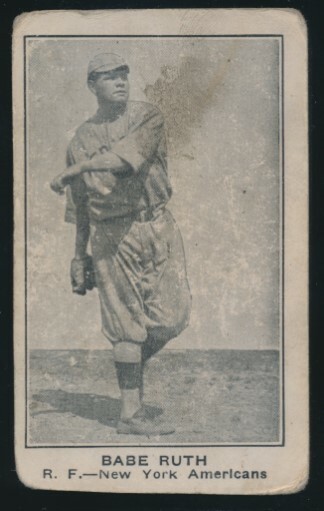 Quite pleased with the visual appeal on this Chief Meyers 1915 Cracker Jack. I have had a caramel stained one for years in my Chief Meyers display case, so this one fills the void in my Cracker Jack display case. Nice to have examples of each type of 1915 Cracker Jacks...one that was packaged with the product and one that clearly wasn't! Happy to have these two! Great cards Brian. Congrats man!!! That Cobb is so beautiful. Last edited by orly57; 09-24-2018 at 07:41 PM. Picked up another John Tiedemann 1911 Obak. That looks like a cyanotype printed on a napkin. 1938 Clopay without the album encasement. Congrats on the Lections. Always liked them - and looks like someone enjoyed that one to the max in the past. Picked up from a fellow board member; on my waitlist for quite awhile. Beautiful cards Brian, super sharp Cobby and who doesn't love a NC Wagner? Great cards. WOW Brian... Those Cobb Postcards are Great! Brian, you are on fire lately buddy!!! Congrats!!! Amazing how two cards with the same image can look so different. Last edited by orly57; 09-28-2018 at 08:45 PM. Last edited by t206kid; 09-29-2018 at 05:41 PM. The back isn't too bad IMO, it has mostly extra scrapbook paper with some words that were on that scrapbook paper either staining the back or still in the paper attached to the back. It may be removable but I'm not going to mess with it. Hey Rhett, that's a beautiful card for the grade! Great choice! 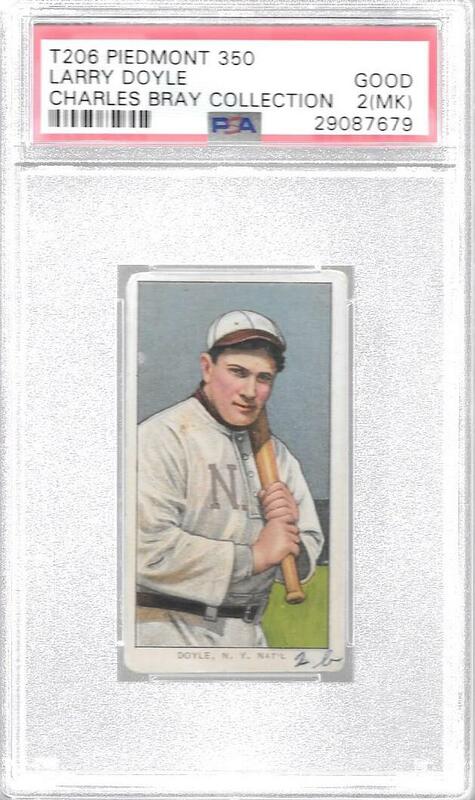 That's the perfect "1" to find, the front is very nice and the back not too bad, definitely a great card to add to the collection! Great find and congrats. Brian, I agree with Orly -- you are on fire (buying and selling) and you have acquired some amazing items lately. Jay, you aren't doing so bad yourself lately -- that Matty is a great front/back combo and is a hell of a sequel to your Cobb AB. Rhett- that Ruth is great. 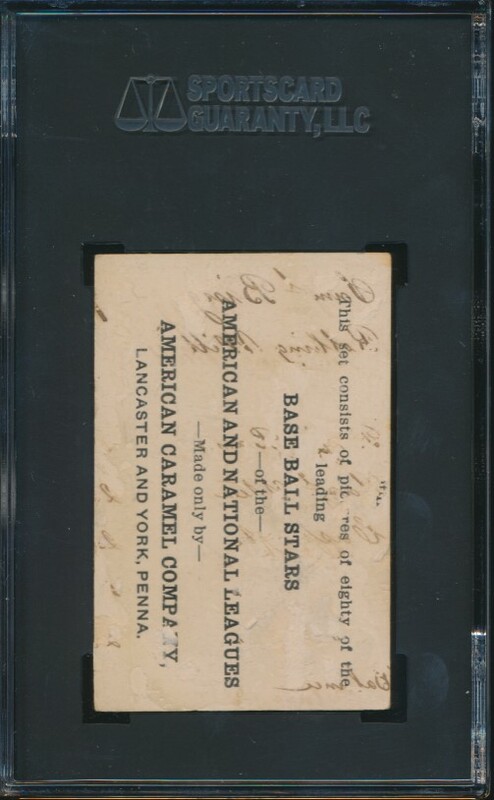 I agree the back is not that bad- the grade is technically correct but the card itself looks far superior to the grade. Congrats all. 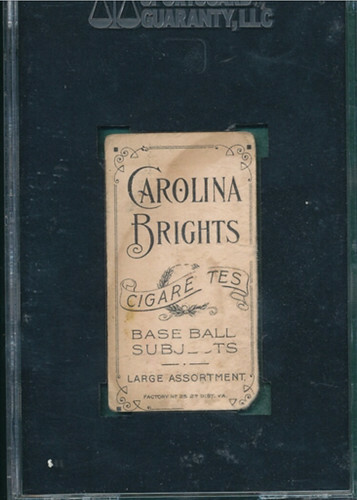 This is my sole September pickup and the only item I bought in the Heritage auction, but I am content. Great Ruth for the grade, Rhett - congrats! But, I really expected that your first E121-80 Ruth would have a scarcer Type 2, Type 3, or Type 4 back - or, at least a Type 1 back that reads from bottom to top! 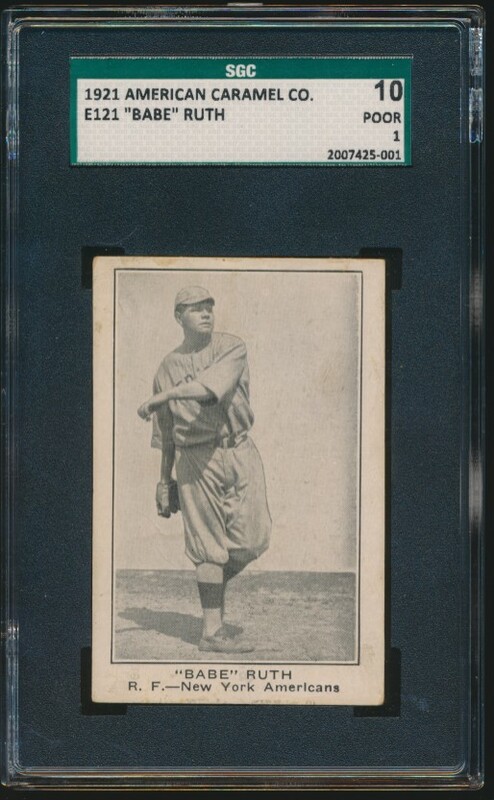 I actually already had a Babe Ruth (no quotes around Babe) with a blank back (W575-1) so it was another version for me. 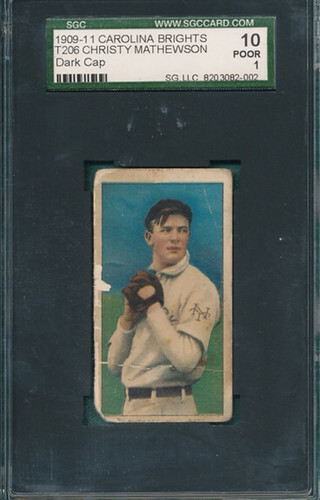 I still need the George Ruth (E121-80 Type 2 or 3, or Koester's Bread) variation to have one of each front with various backs. Last edited by rhettyeakley; 09-30-2018 at 10:54 PM.